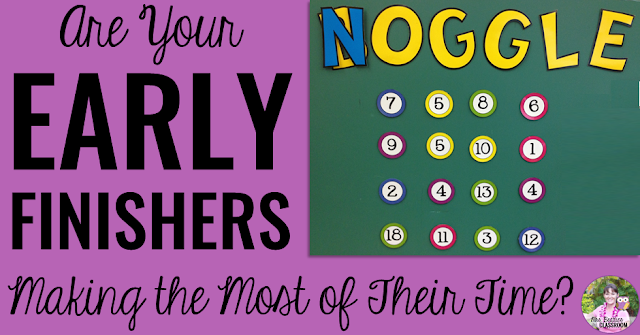 Are Your Early Finishers Making the Most of Their Time? In my experience, nothing can be more disruptive in a classroom than a student with nothing to do, and each year I have a group of students who tend to complete the assigned work with time to spare. What is really necessary in every classroom is a set of activities designed with those early finishers in mind. You can see in the photo above how I "tweaked" my Boggle board to accommodate Katie's ideas. I even got the numbers through a link she has in her blog post! 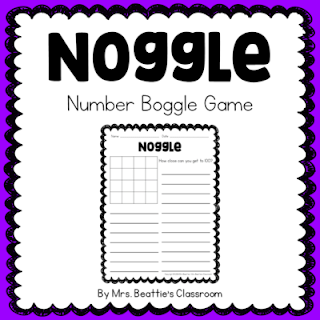 I created a NOGGLE sheet for my students to use when playing, and it is available as a FREEBIE at my Teachers Pay Teachers store! Click the image to download it now. Want more great ideas like this one to use in your classroom? I'm glad you like it! :) Great idea! I'm sure you could come up with something, Crystal! :) Good luck!! Sounds like fun! Thanks for sharing at Manic Monday! It's a ball, Debbie! Thanks for stopping by! Haha! Thanks for leaving another comment, Debbie! :) I appreciate any sharing! I love this wonderful freebie! I currently use Boggle in my classroom and its a student favorite. Can't wait to add this! I found your blog through the Maniac Monday linky. Check out my blog if you have a chance. Thanks again for the great freebie! Thanks for leaving a comment, Breanne! I will certainly check out your blog! Where can I find it? Cool idea! I feel your pain with early finishers. 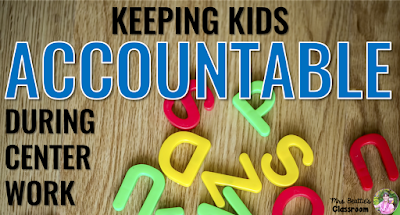 It can be hard to challenge them and monitor them while helping other kids along. Thanks for posting this freebie! 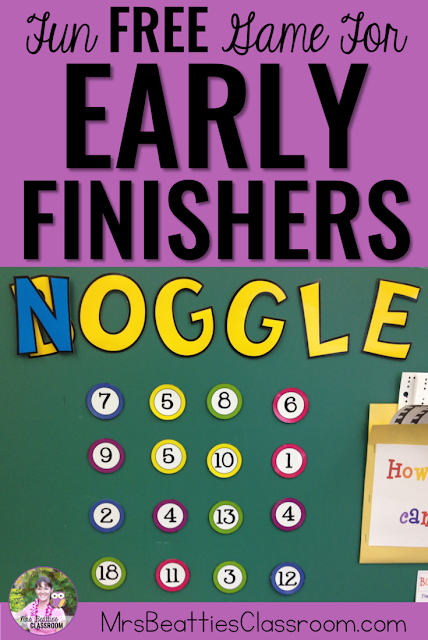 Great idea for early finishers! Fun and meaningful. Thanks, Jennifer! Glad you stopped by! Love this idea. 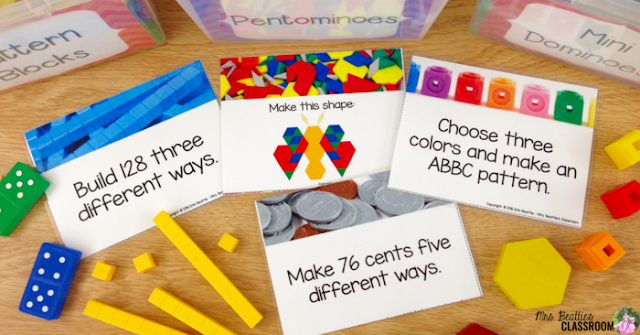 Such a great way to incorporate math during times other then math time and easily able to modify it to be usable at all levels. Thanks for sharing. I'm going to have to add this to my list of things to incorporate in my class. Thanks, Stephanie! It is great! I am using it currently with 5th graders, but fully intend to modify for my 2/3 class next year. Easily done, I think! The Noggle game looks like fun. I may use it with students I tutor. I'd love to adapt it for my algebra classes! Oh, I'm sure you could come up with something! I used it with my fifth grade class this year, and am planning on taking it with me to 2/3 next year! Could you please explain to me how to play Noggle? Also, how do you come up with more numbers for your Noggle board and the target number? Please email me at lsadler1@gmail.com Thank you!! If you follow the link above to Rock and Teach you will see the original post about Noggle. I randomly added numbers, ensuring that I had a mix of two-digit and one-digit numbers to ensure all of my students could access the fun. They could use any combination of operations with neighboring numbers, but just like in Boggle, could only use each number once in a turn. The target number is random. I chose 100. You could use whatever you like. Thanks for the freebie! Love your blog design. What an awesomely adoreable idea! I need to bring the NOGGLE idea down a few notches in skill for my kids thank you so much for the cool ideas. So... The students use adjacent numbers with any operation. 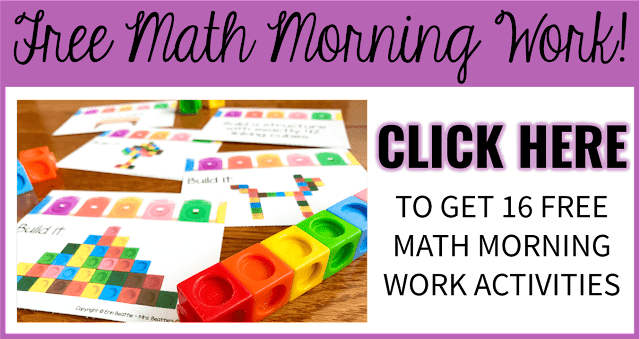 Depending on the grade level you can have them add, subtract, multiply and/or divide and their goal is to get as close to the target number as possible. 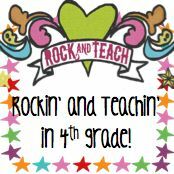 I have a free tracking sheet available in my Teachers Pay Teachers store - just click the image above and it will take you right there!